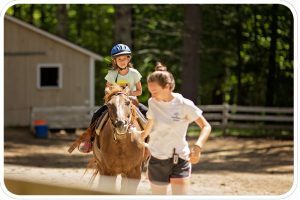 In a world where children have near constant access to electronics and social media, unplugged summer camp experiences are becoming more and more popular. We create a screen-free, unplugged zone with our electronics policy. Campers are so busy with activities and friends all day that they simply don’t have time to post, snap, or play on their favorite apps. Our staff follow this policy when on duty too. Counselors keep phones in our office, and Senior Staff, Nurses, and Trips counselors carry them for safety purposes. Many studies have been released over the past few years, suggesting that a break from screen time helps reduce stress and anxiety, and can even increase a child’s ability to read human emotions (via NPR). We offer 2, 4, 6, or 8 weeks of vacation from electronics, giving campers a break and offering alternatives to the virtual world. Within a day or two of arriving to Quinebarge, our campers don’t even miss their iPads, phones, or smartwatches. 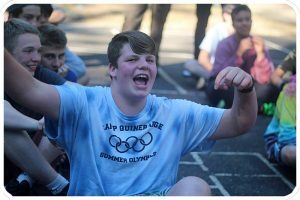 Every experience at Camp Quinebarge is a shared one. Of course, there are individual moments and achievements – shooting your first bulls-eye, or jumping into the lake. But all of them happen in relation to our community and environment. Without the distractions of electronics, campers interact with and learn from the natural world around them. Campers share music over speakers or by singing, instead of closing out the world with headphones. Friends talk face to face, rather than communicate via texts or direct messages. Connections aren’t limited to megabits per second – only by the length of a camper’s stay. 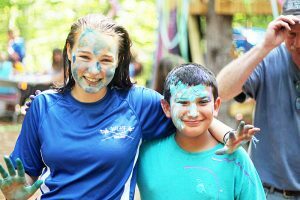 By cutting the iPad cord and plugging into real life, campers gain confidence, have fun, and most importantly, form strong friendships that will last a lifetime.